Heritage Seedlings is the leading WHOLESALE propagator of deciduous, unusual ornamental trees and shrubs. We offer more than 500 varieties, including seedlings and an amazing variety of the latest, new, and hard-to-find selections that we grow by grafting, cuttings, or from tissue culture. 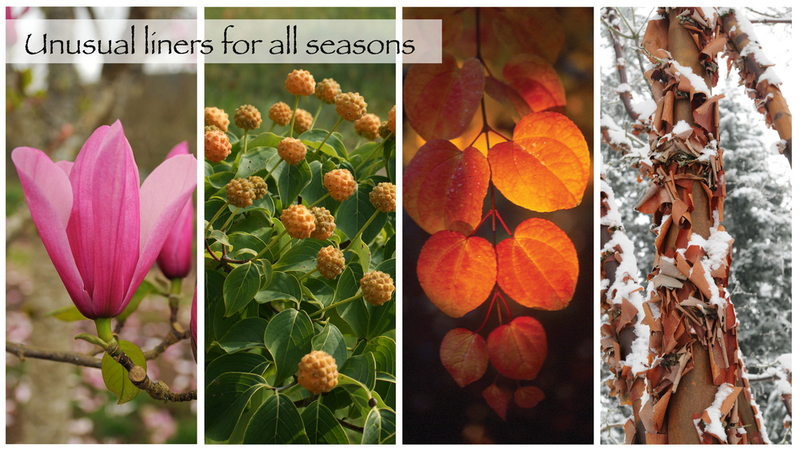 We specialize in new grafted Dogwoods, new Magnolia, Japanese Maples, and grafed Redbuds. Our plants are shipped in sizes from small plugs and bare-root liners 6 inches tall, up to 5-foot transplants. Our courteous staff can offer you nursery pick-up, prompt UPS delivery, or bulk delivery by truck. We're widely respected for our INTEGRITY, INNOVATION, and the delivered VALUE of our liners. No nursery does more in regard to resource and habitat STEWARDSHIP than Heritage Seedlings.